Bob‘s training included four great teachers, Don Kimble, Jeff Reynolds, Robert Simmergren and Roy Main; they have made all the difference! His professional career began at the age of twenty with the Disneyland Band where he stayed three years. It was a de facto apprenticeship, working day in and day out with 15 experienced professional musicians. Thereafter he stayed busy performing hither and yon in the greater Los Angeles area, including 30 years with the Pacific Symphony, 24 years as a founding member of the Hollywood Bowl Orchestra, 12 years in the Composers Brass Quintet, and of course, a decade or so in Hoyt Bohannon’s garage on Tuesday nights. He has played on a freelance basis, at one time or another, for every dog and pony show to come through Southern California for 45 years; including the Los Angeles Philharmonic, hundreds of motion picture and television scores, and considerable time in various and sundry theater, ballet and opera pits. He has been a member of the Bill Watrous Refuge West Band, the Jack Sheldon Orchestra, the Jimmy Cleveland Orchestra and did two, all too short, tours subbing with the west coast iteration of the Toshiko Akioshi-Lew Tabackin Big Band. 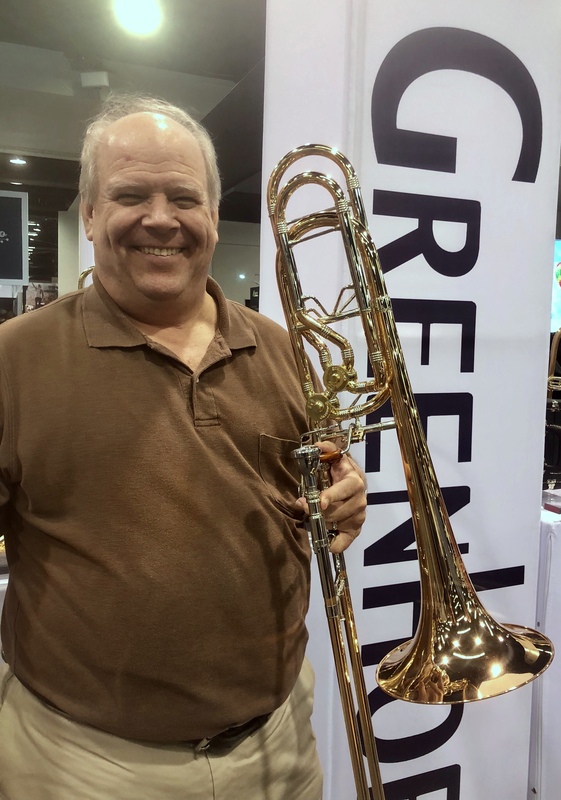 He is presently retired from low brass performance, serves as president of The American Federation of Musicians – Union Local 7, and has taught trombone at California State University, Fullerton for more than three decades; where he co-founded (with Jeannie Little and Alex Iles) Trombone Day in 2004.